The CEO of DS Smith, commenting on the company’s most recent acquisition in the corrugated segment, noted “This is an exciting and fast-paced environment where we are experiencing strong momentum.” Really? Could he actually be referring to that ubiquitous, plain, brown, and most of all, simple material, used in the corrugated box and retail display segments of the printing industry? DS Smith, the London-based global powerhouse in the containerboard, corrugated packaging and retail display segments, announced its second acquisition in the US market within the last year. The company now has a total US presence of 23 facilities and more than 2,000 employees. The most recent acquisition, Corrugated Container Corporation (“CCC”) of Roanoke, Virginia, brings additional expertise in corrugated box design and manufacturing, as well as a core competency in retail displays. CCC will be piggy-backed on and integrated with DS Smith’s much larger acquisition, announced last year, of Virginia-based Interstate Resources. With that acquisition of Interstate Resources, DS Smith accomplished in one fell swoop what would have taken years to build out organically. That strategically important deal instantly established a US platform for DS Smith with 19 stateside facilities and 1,500 employees. At the time of the acquisition, Interstate Resources reported revenues of $618 million. DS Smith paid a total of $1.146 billion for 80% of the outstanding equity, suggesting a total enterprise value of $1.432 billion, or otherwise stated, an astounding 2.32 times trailing revenue. Although EBITDA figures of the acquired company were not disclosed by DS Smith, one analyst estimated the multiple paid at 13.1 times trailing EBITDA. Clearly a high-water valuation driven by the strategic goals of a well-heeled buyer. On a smaller scale, Green Bay Packaging acquired Wisconsin Packaging. The acquired company operates a corrugated sheet plant and specializes in corrugated packaging and retail display. Green Bay Packaging, itself an active acquirer over the past several years, now has manufacturing facilities in 14 states. Two countervailing trends are driving the deal activity in the corrugated segment of the industry. The most obvious driver is the “Amazoning” of the retail business. A friend of mine who lives in a 400-unit apartment building has remarked that the apartment complex’s hallways are lined with boxes at the end of each day, the result of online shopping deliveries. The recycling bins in the basement are clogged with flattened corrugated cartons. On the other hand, bricks and mortar stores work to compete with the online juggernaut. Brands are constantly refreshing their in-store presence with new, more complex and multi-dimensional retail displays. Today’s stores are awash in floor stickers, decorated windows, and multi-media (sound, light, scents, etc. ), alongside the old standby, corrugated retail displays. Those displays are still a cost-effective method to change out the retail space. It’s all part of the “experiential” retail environment. 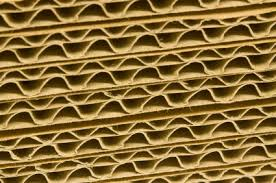 Either way – online or in-store, corrugated products are in demand. Traxium, an up-and-coming Midwest roll-up in the commercial printing segment, has picked up steam. The company announced two new acquisitions, Watt Printers and Great Lakes Integrated, both in Cleveland, Ohio. Owners of commercial printers active in the industry groups will recognize Great Lakes as one of the pioneers in the transition of many commercial printing companies to marketing service providers, offering fulfillment and marketing services in addition to printing. The Traxium brand was launched in November 2016 when the owner acquired Printing Concepts, also in Ohio. The plan is to consolidate the print operations in the current Watt facility, while maintaining the separate Great Lakes fulfillment operation. LSC Communications announced two transactions, continuing the steady drumbeat of deals for the company since being spun out of R.R. Donnelley in October 2016 (all told, we count at least eight acquisitions and two divestitures for LSC since its formation). When LSC was split off, it was our opinion, shared by other industry analysts, that it was odd that the print logistics business was not originally included in the assets allocated to LSC. The postal optimization services in the logistics unit would logically have been more valuable to the publication printing plants which went to LSC in the split. LSC had apparently solved the problem of not having a logistics unit with the purchases, first of Fairrington Transportation (See The Target Report - Transformation and Rebirth), and subsequently of The Clark Group. Despite the two acquisitions, LSC has now announced the purchase of RRD’s Print Logistics business, which it will combine with Fairrington and The Clark Group. LSC will now have transportation and postal optimization capabilities exceeding even that of its former self within the larger R.R. Donnelley of yore. LSC made another move to rationalize its print production assets, shedding its retail inserts business, selling the business and related production facilities to Trend Offset. Trend is headquartered in California, with additional plants in Texas and Florida. In the earlier divestiture, in September of 2017, LSC sold off its book components company, Moore-Langen Printing, which was acquired by Phoenix Color, a commercial, packaging and book printer owned by ALJ Regional Holdings. While we accept that it’s likely we will see self-driving vehicles on our roads in the near future, we often hear that some “soft skill” tasks would seemingly be beyond the grasp of automation. For example, the creation of a new logo to brand your startup company has been the domain of highly-trained and creative graphic designers. No longer; Deluxe Corporation announced the acquisition, for $43 million in cash, of LogoMix. The Boston-based online service uses proprietary artificial intelligence capabilities to offer clients self-service automated logo and branding design. The automated logo is purchased at a nominal price, delivered electronically, and instantly available for printing on business cards and promotional items, and for use in marketing campaigns (automated campaigns, of course). Tronc $1,520 Chicago, IL The Virginian-Pilot Media Co's.